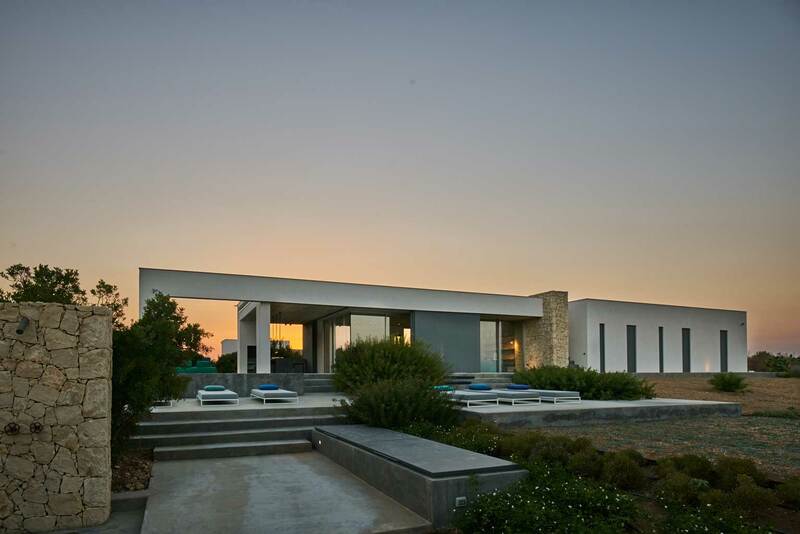 There is no shortage of space for the entire family in this truly state of the arts minimalist 3-bedroom villa. 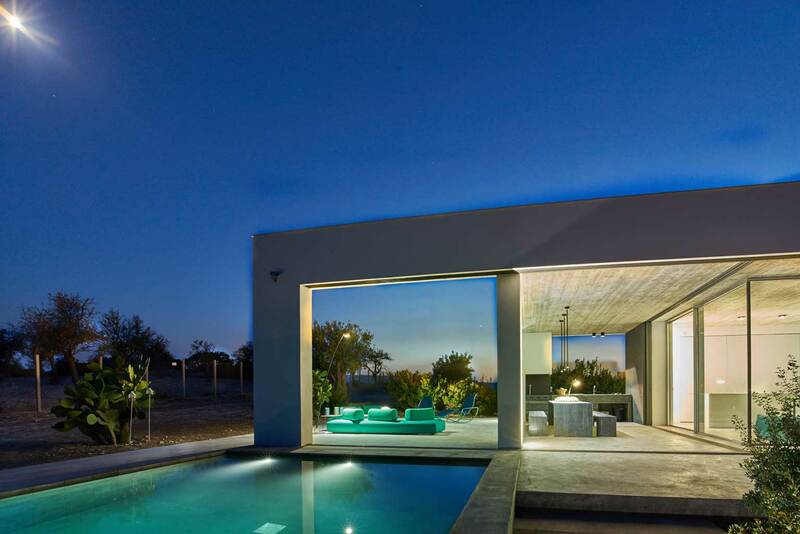 As its name in Italian suggests, Casa Aperta features open plan spaces and architectonic elements that will especially suit lovers of minimalist design! 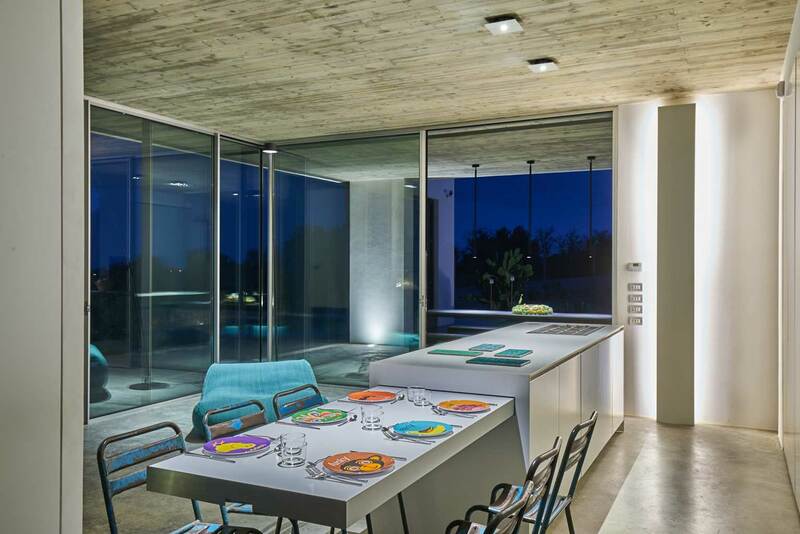 Designed by Architect Marco Merendi, its lateral living stretches on an entire floor over to a pool and sundeck. 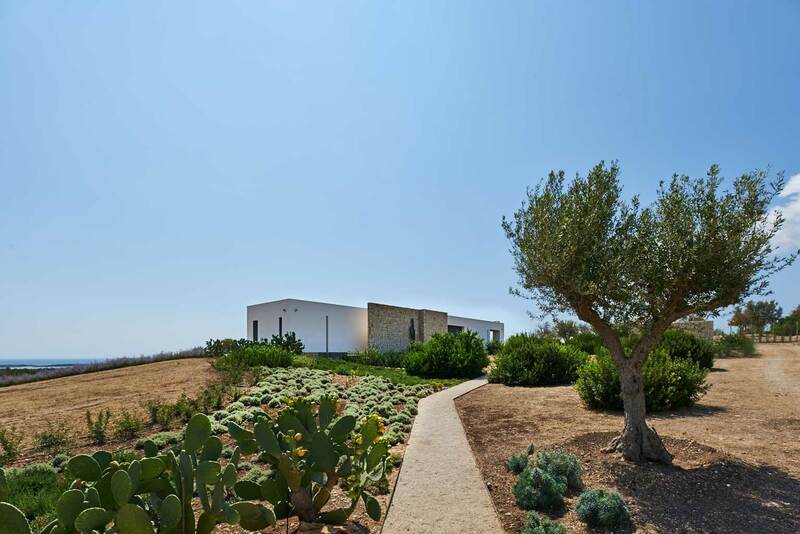 Newly built in 2015 and minimalist at heart, Casa Aperta truly exudes the light, the aromas and the silence of the Sicilian land. 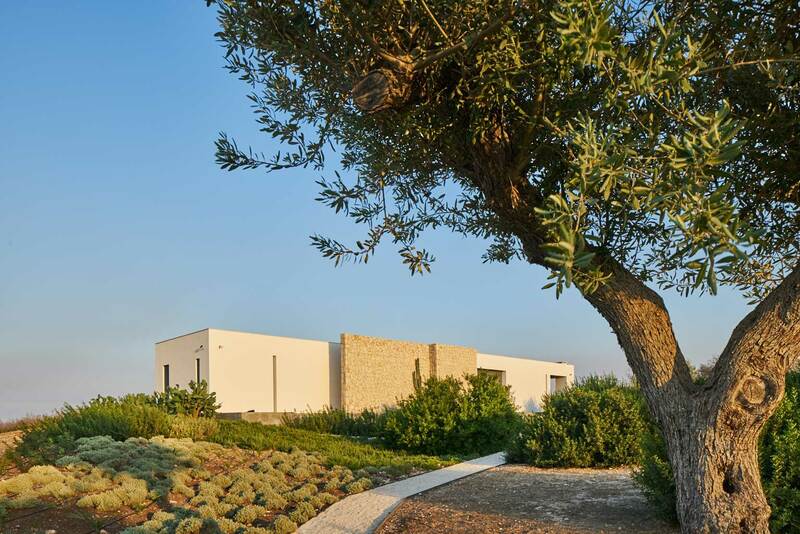 With the Vendicari Nature Reserve literally on its doorstep in the countryside of Noto, this home really offers the best of all worlds. 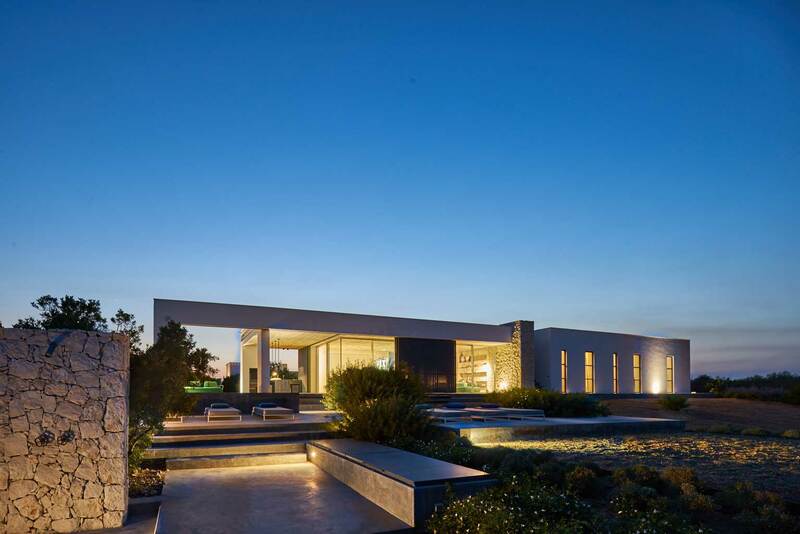 Taking a unique approach to form and function, boldly implementing functionality to enhance the structural aesthetics, this flawless villa has spectacular spaces and light throughout. One is lead to the main entrance through a pathway at the rear garden and then alongside a long horizontal volume articulated by two perpendicular warm beige stone clad walls. 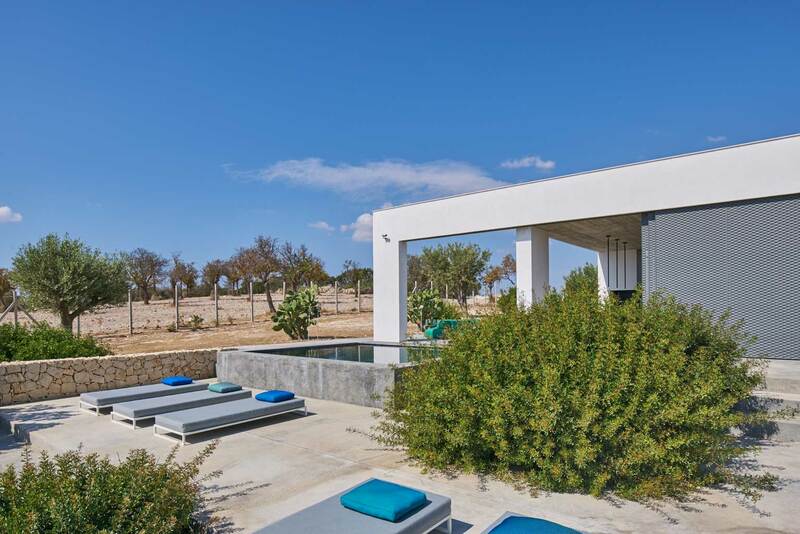 From here the villa is arranged on a single floor with the intimacy of the three en-suite bedrooms to one end and a fully open plan living to the other facing the pool. 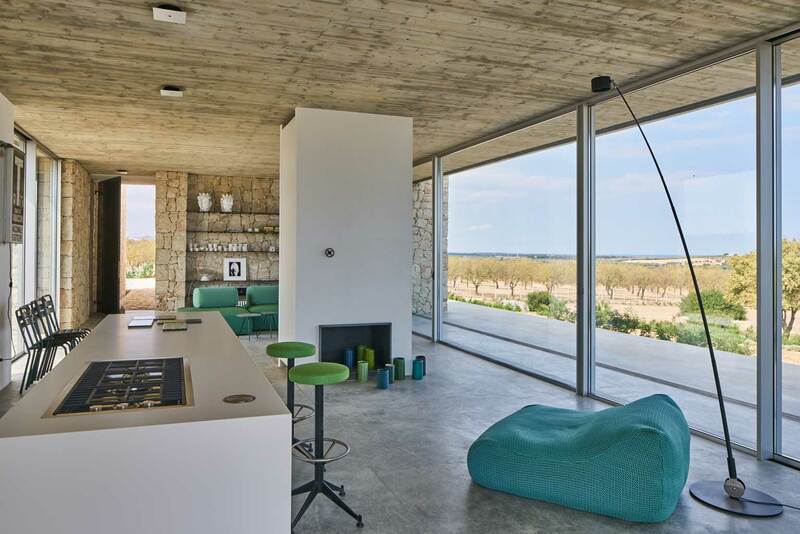 The large open plan living area is completely enclosed on 2 of its sides by full size sliding glass doors. 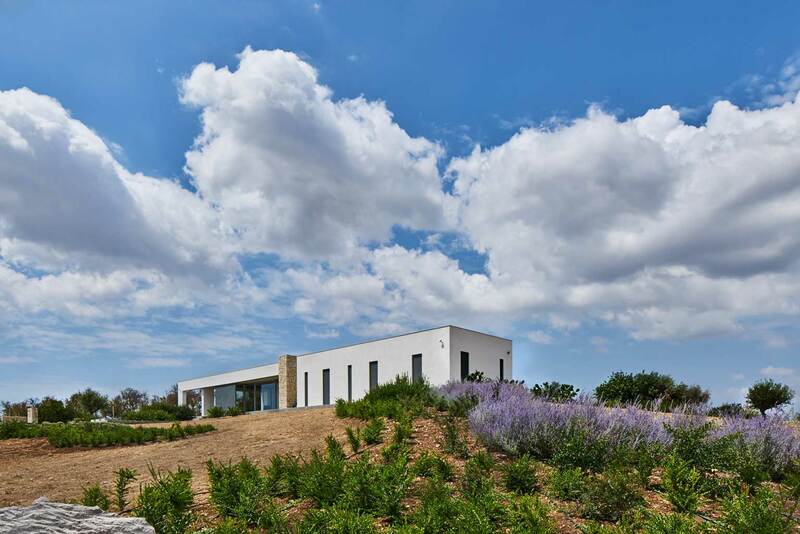 On the longitudinal sides, it enjoys panoramic views of the Nature Reserve as well as views across to the rear garden. 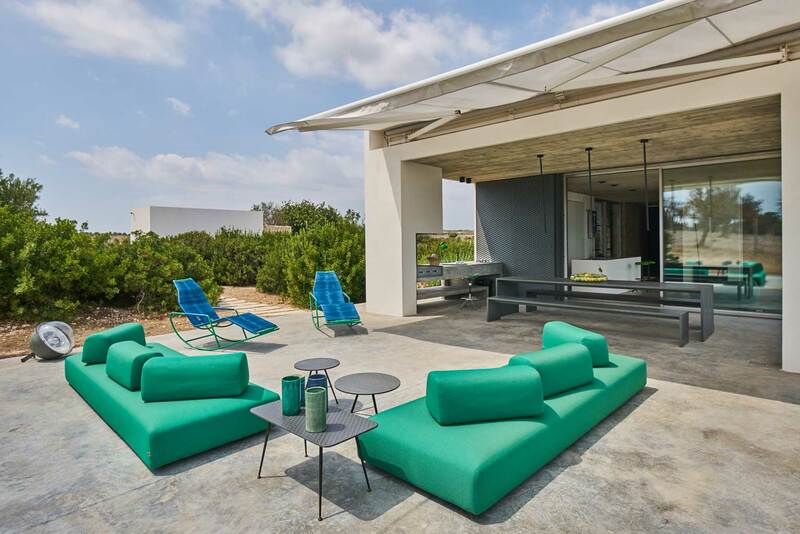 Further on, it opens out onto a covered outdoor dining space and to the pool area and for more lounging and chilling out, come shine or shade. 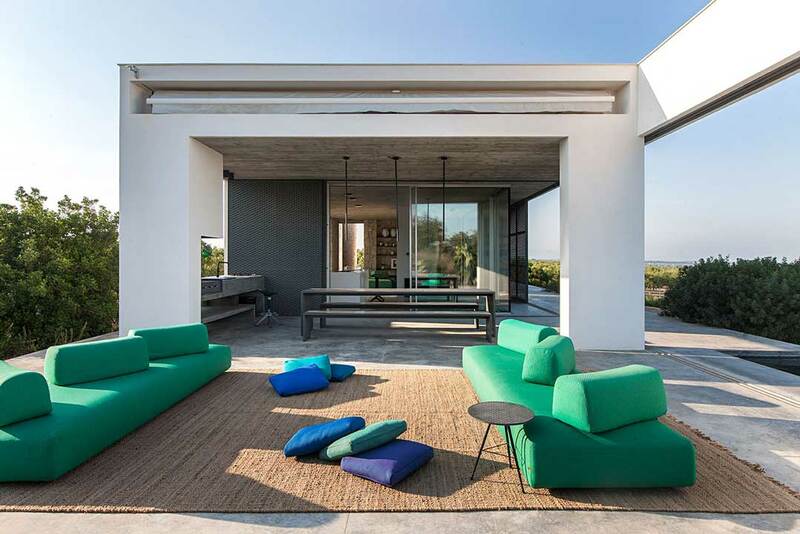 Functional with a futuristic twist, this ultra-modern villa features an exposed concrete roof slab with large expanded steel sunscreens that run along the façade. 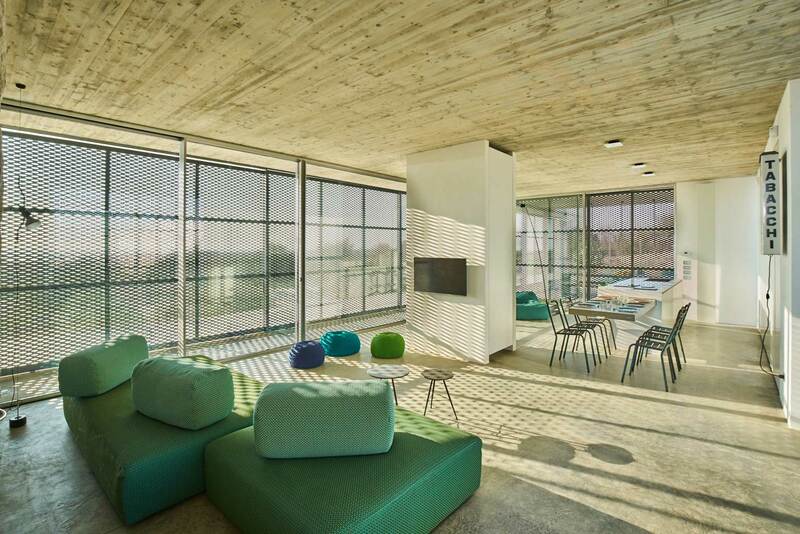 In the warmest hours, these brises soleil shape and fragment the light creating origami-like shaded patterns on the floor. 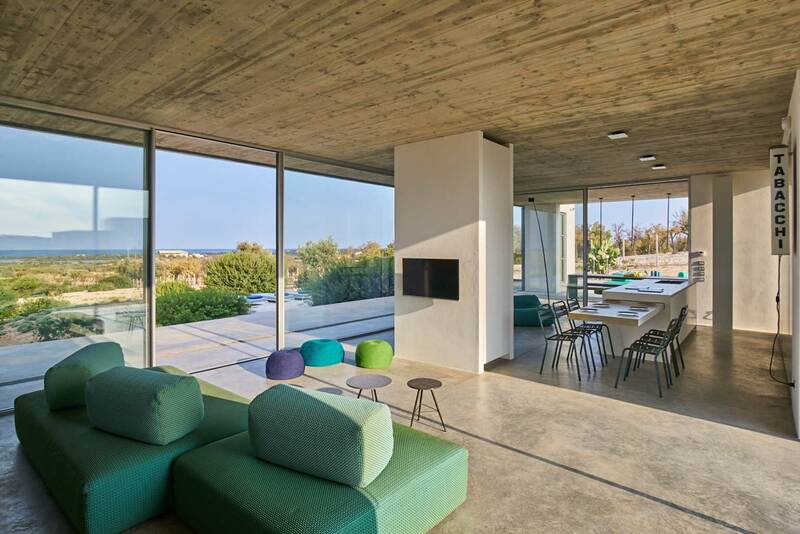 They allow air to circulate freely in the villa while ensuring privacy and shade when the large sliding doors are closed. A modern hearth of lava stone seperates the living from the kitchen area where a beautiful bespoke island kitchen dominates the space. In want of a pure space, the dining table very agilely slides into the kitchen worktop and floor to ceiling custom-made doors hide the appliances, the pantry and the sink. 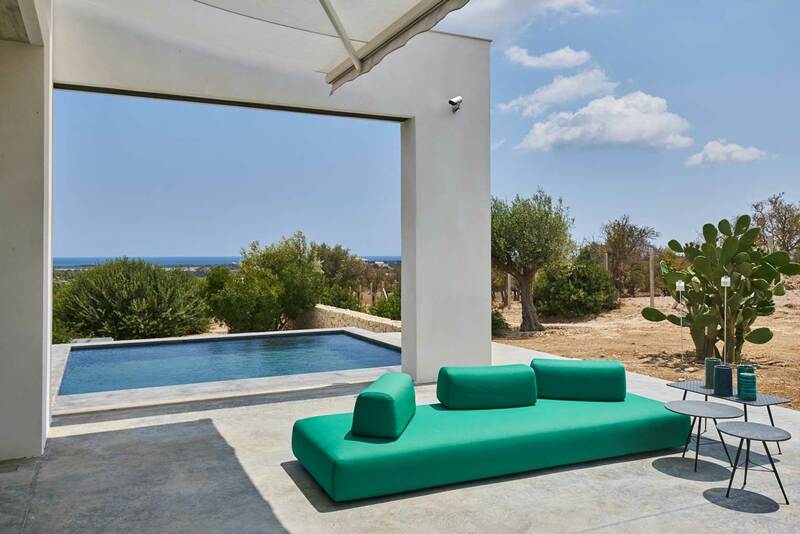 The use of modern materials is contrasted with use of softer materials like the local stone of Noto and the lava stone of Vulcan Etna, bespoke ceramic tiles and modern large green sofas. 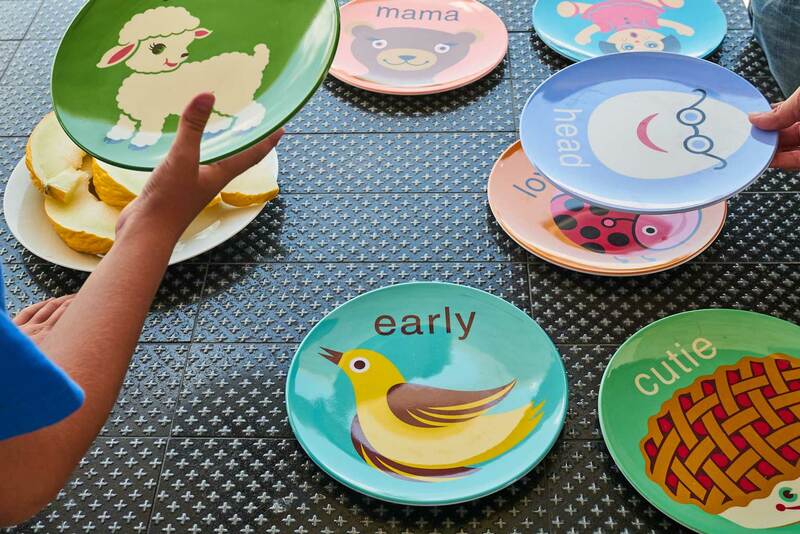 Masterly assembled by Merendi, together they create a serene and very hospitable space. 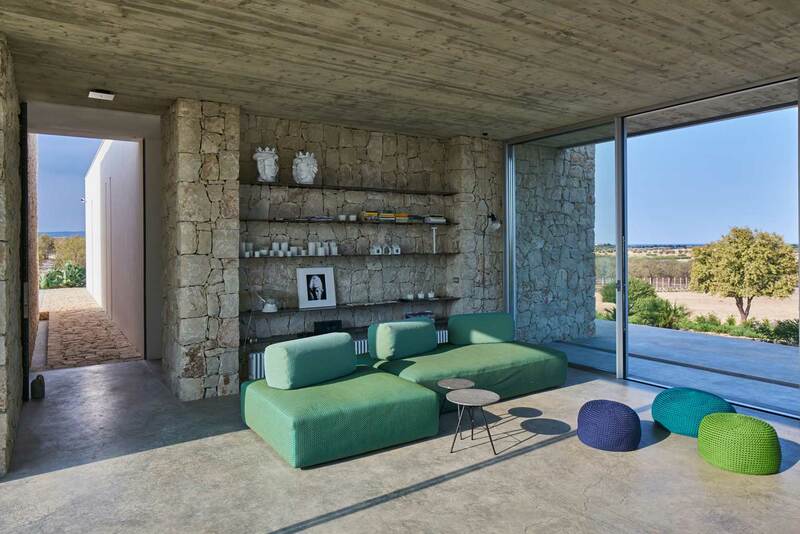 A long corridor leads to the privacy of the bedroom area situated at the other extremity of the villa. Two of the bedrooms are double while the third is a flexible double/twin room, and all have its own en-suite bathroom with shower. 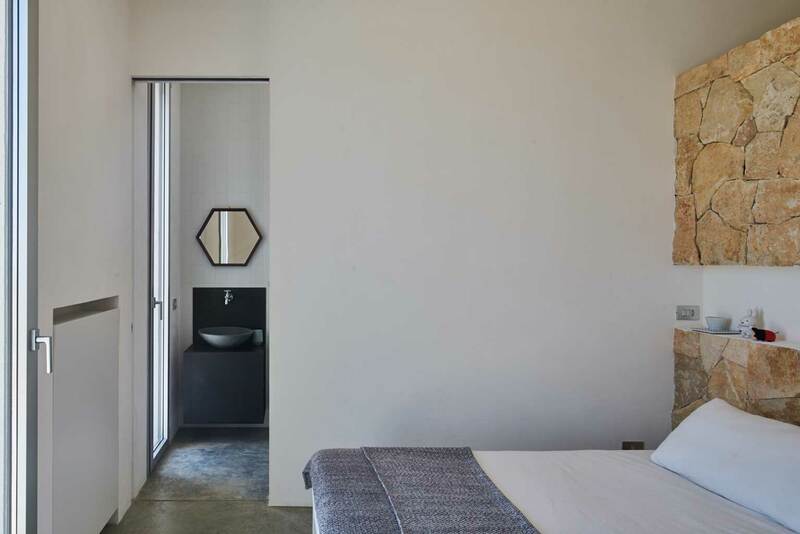 The bedrooms are more secluded and feature oblong-glassed doors framing the sea. 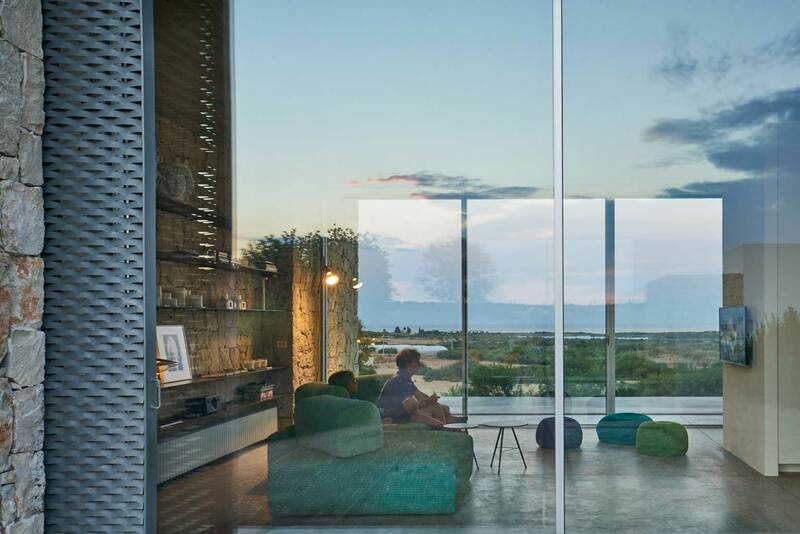 Each of these windows offers direct access to the garden with stunning views over the surrounding almond, the salt lagoons and out to sea. 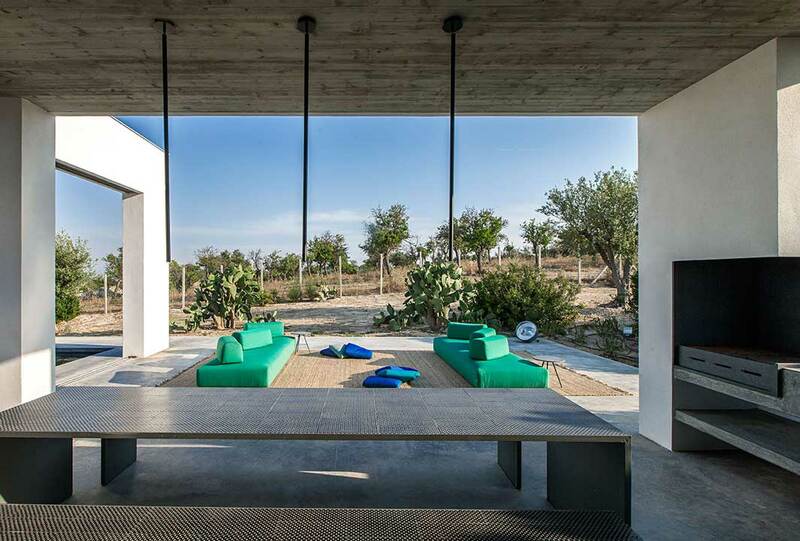 On entering the property, one is immediately greeted by soft and rigorous natural forms. These are monochromatic variants of greens and perennials. 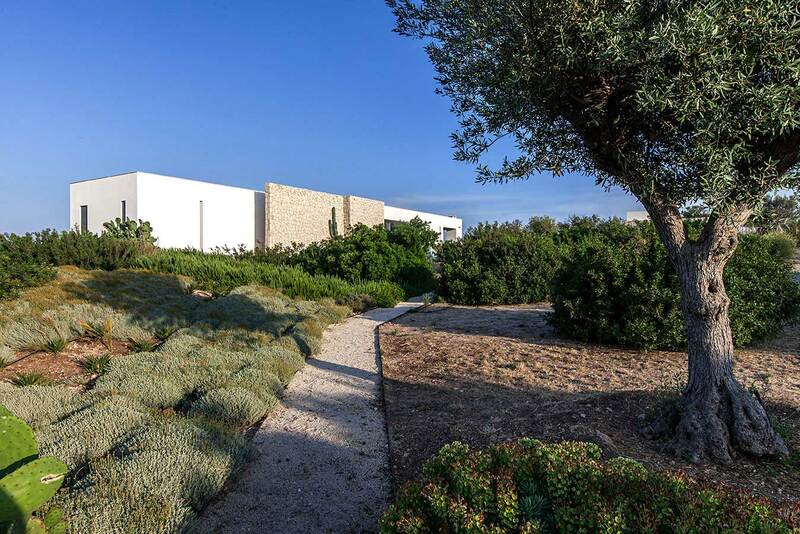 They follow the undulations of the land around the villa in total osmosis with the lingering views of the Vendicari nature reserve beyond. 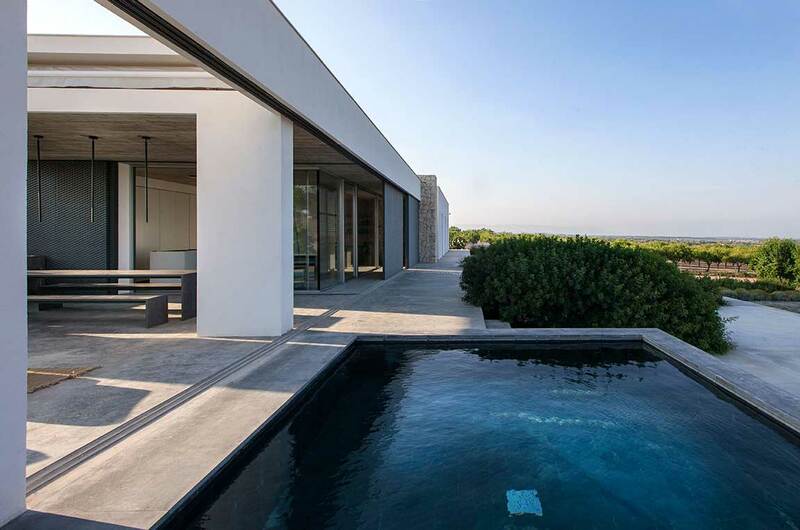 The pool has been cladded with lava stone and was conceived very much like a large Arabic bathtub where you can relax and chat with friends who are lying in the closer terraces. By the pool, there is a covered panoramic terrace with a lava stone dining table and a well-equipped outdoor kitchen and barbecue. 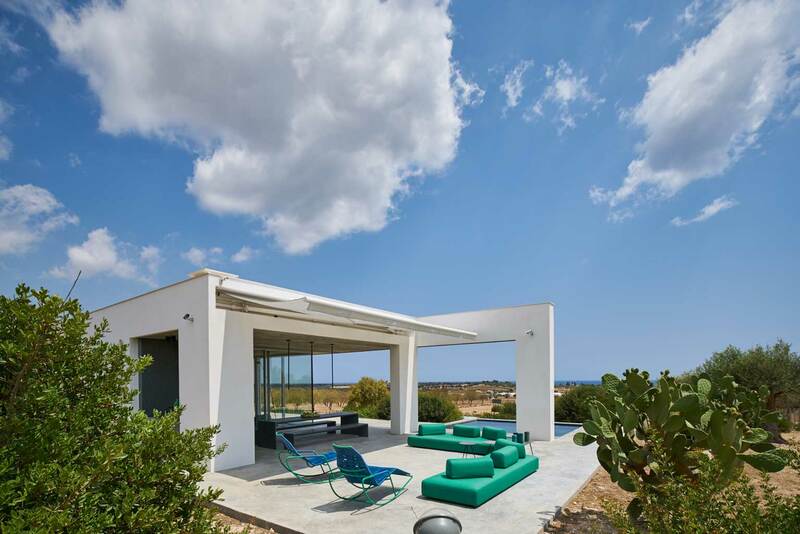 As the decking extends to view the timeless flora, the prickly pears and olives trees, a large motorized sun blind can be unfolded to create some shade. At nightfall, this is a magical spot for long convivial ‘aperitivo’ under the moon and stars. 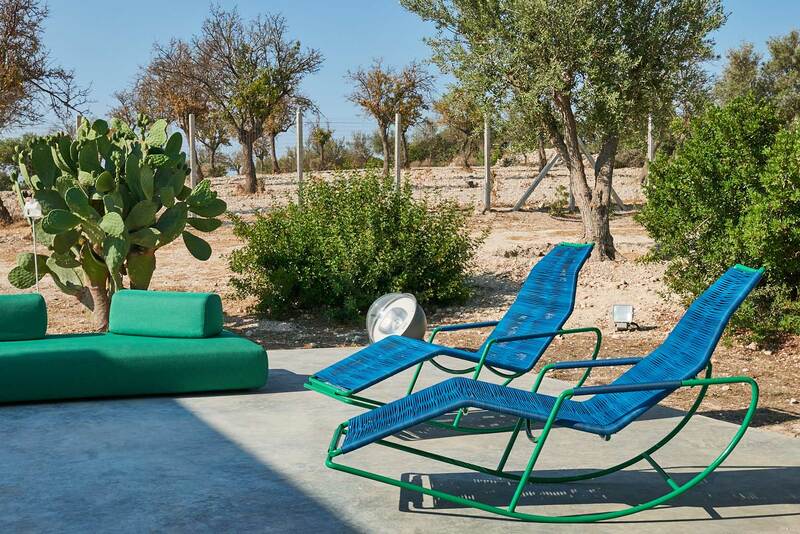 Delectable choice of Italian minimalist design and furnishings through-out the villa. 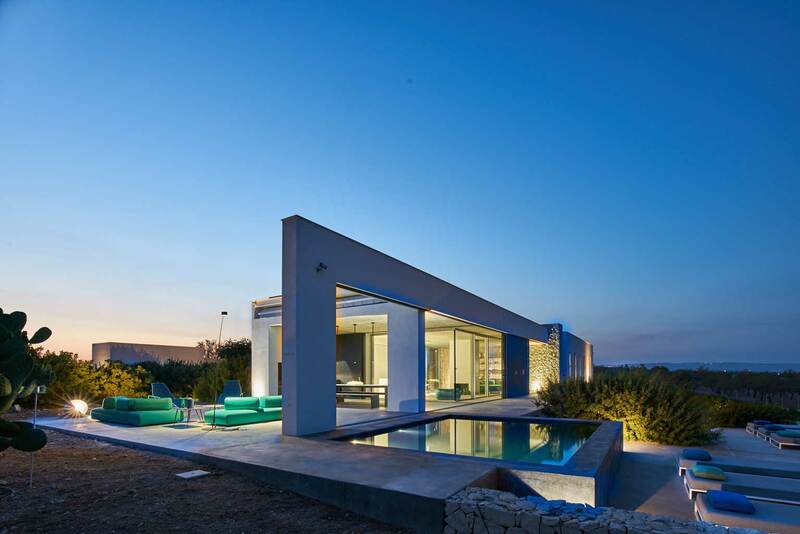 Exemplarity in the overall design of the villa, from the expanded steel sun screens, the narrow-glazed doors in the bedrooms to the out-door spaces that make for an energy efficient house. 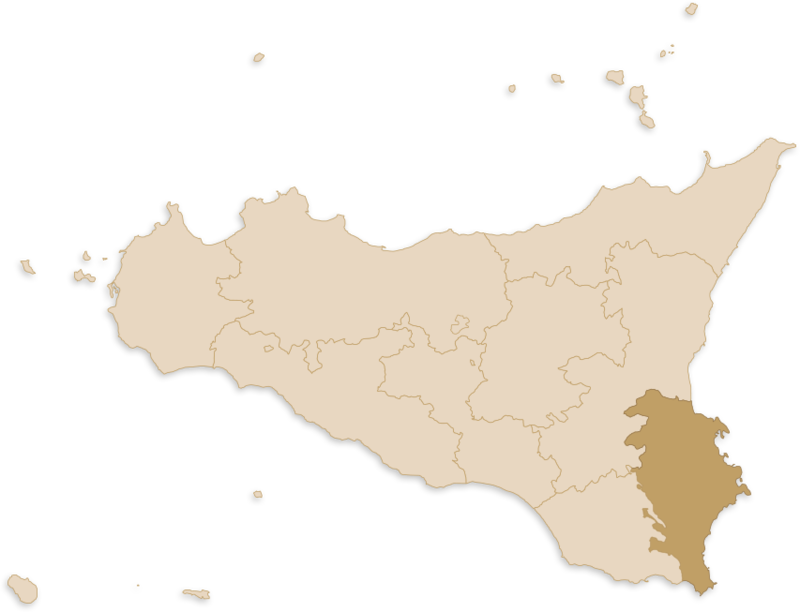 Sicily à la Carte ltd.